Group Economics is not new, many communities in America practice this strategy; the Jewish community, Italian community, Asian communities all use Group Economics. It is a form of self-preservation. Rotating savings and credit associations (ROSCA) are among the oldest and most prevalent savings institutions found in the world and play an important role in savings mobilization in many developing economies. Roscas are locally organized groups that meet at regular intervals; at each meeting members contribute funds that are given in turn to one or more of the members. Economic empowerment is the capacity of women and men to participate in, contribute to and benefit from growth processes in ways that recognize the value of their contributions, respect their dignity and make it possible to negotiate a fairer distribution of the benefits of growth. Entrepreneurship is a key factor in local economic development. Research shows entrepreneurship supports the creation of local wealth, can create pathways out of poverty and creates jobs at a lower cost than do other strategies. What are the advantages of membership in a cooperative? Cooperatives leverage the buying power of membership to purchase products or services. A cooperative business might focus on electricity, food, fuel or other products and services. … The advantages of a cooperative business derive from its structure and democratic model of governance. Community Economic Development and Cooperatives. There is a natural affinity between community economic development (CED) and cooperative development. … By pooling human, financial and other resources, cooperative enterprises can be run by people who lack the resources to start or run individual businesses. A cooperative is “an autonomous association of persons united voluntarily to meet their common economic, social, and cultural needs and aspirations through a jointly-owned and democratically-controlled enterprise”. Do you know that???? 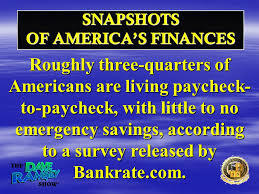 Seventy-six percent of full-time workers said they live paycheck to paycheck, up from 75 percent last year, according to a recent report from CareerBuilder. Overall, 71 percent of all U.S. workers said they’re now in debt, up from 68 percent a year ago. Project 1024 sharing what are the differences between an Open Co-ops and Platform Co-ops? Two cooperative movements are important in this discussion: Platform Cooperatives, and Open Cooperatives. One may be more publicly visible right now, but they have much in common. These movements marry the power of digital networks with the rich history of the cooperative movement. How do these approaches compare? Are they redundant, complementary, and mutually exclusive? What exact problems do they solve, and what outcome do they seek? We explain their origins and characteristics, and see how the actions proposed by these movements can work together, helping us form resilient livelihoods in our networked age. The sharing economy is an economic model often defined as a peer-to-peer (P2P) based activity of acquiring, providing or sharing access to goods and services that are facilitated by a community based on-line platform. Much of what counts as sharing turns out to be nothing more than ordinary economic transactions between individuals arranged through digital platforms. First, some history. In the years preceding the appearance of these digital sharing platforms, something else was also cooking: online communities experimenting with different forms of exchange, collaboration and production. Commons-based peer production describes a new way of creating and distributing value. Internet-based P2P infrastructures allow individuals to communicate, self-organize and co-create abundant, practical value in the form of digital commons. Driven by absentee investors or shareholder accumulation. What are the patterns of Open Cooperatives? Open Cooperatives’ aims can be summarized in four recommendations, or patterns, but these guidelines are not meant to be prescriptive. Being the best open cooperator is not the goal here. Individual cooperatives and groups of commoners should examine their own material conditions and priorities to see which of these patterns they might use. Open coops don’t just draw from the Commons; they reciprocate, generating new commons in the process. These commons can be immaterial and/or material, and can help encourage cooperative (rather than capital) accumulation by using reciprocity licenses (PLR) Private License Resale. By immaterial commons we refer to code and design, but mainly to socially advantageous productive knowledge. These should never be privatized in order to generate artificial scarcity or profit maximization. Open coops may develop and maintain productive material infrastructures through distributed manufacturing, as well as mutualizing spaces for co-working, organizing retreats, and providing mutual support. Unlike the closed-sourced designs of for-profit enterprises with their rampant commercialization and planned obsolescence, commons-oriented manufacturing is geared towards modularity, durability and customization, and a more efficient use of resources (e.g. shared data, manufacturing facilities). That’s the recipe for creating the true sharing economy: commons-oriented manufacturing plus co-ownership and co-governance. Open Coops need to be organized socially and politically on a global basis, even as they produce locally. Project 1024 system is an International Opportunity. These four patterns are the hallmarks of Open Cooperatives, but where are the existing open coops? Open Cooperatives can open doors to an economy of abundance and sufficiency that works for all of society, future generations and the planet. Learn more about the Jobs Act (Jumpstart Our Business Startups) by clicking on Obama’s picture below.